Saskatoon may be a small city in the heart of the country’s bread basket, but there’s a lot going on here, from a thriving local business community to conservation areas teeming with birds and wildlife. 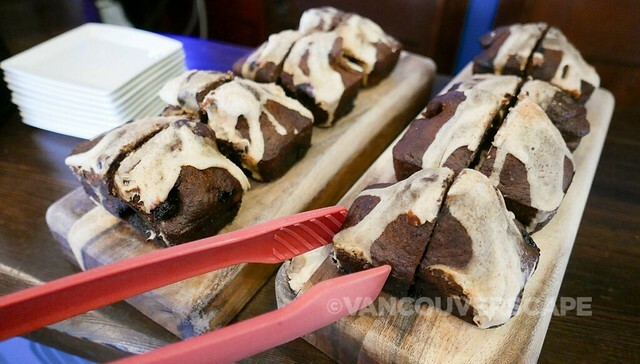 On a short three-day visit, I was able to experience a good variety of excursions and shops, so here are my discoveries to help you plan a visit to SK. Just a half hour outside town brings you to Beaver Creek, an area that’s been used as a nature park since 1913, when early settler Charles Gillespie unsuccessfully tried to begin a farm here. What he did do was mind blowing at the time: he donated the land (all 24 hectares/59.5 acres) to the City of Saskatoon shortly after the city was incorporated. He made sure that the land would be used as a nature park “with no consumption of alcoholic beverages”. Over time, locals have enjoyed the creek for swimming, fishing and picnics — there was even a dance pavilion here at one time. Back in the day, Canada Day picnics were a tradition, sometimes seeing close to 2,000 people with Model T’s lining the creek. Free and open to the public, Beaver Creek makes for a fine nature outing. 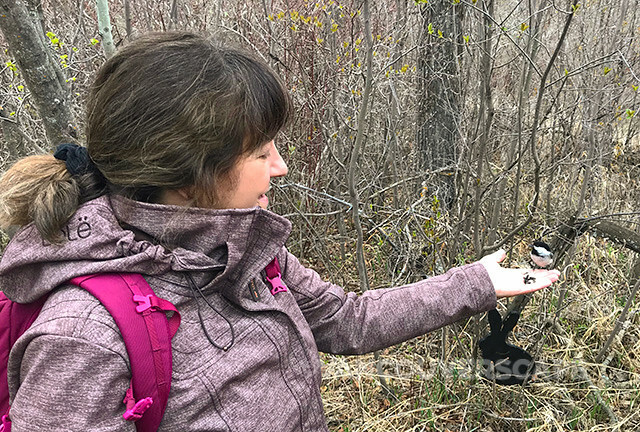 You might get lucky and have a chickadee land on your hand for some seed (available inside the interpretation centre). The Riversdale district has recently re-emerged to include an eclectic mix of local businesses, from craft brewers to florists. 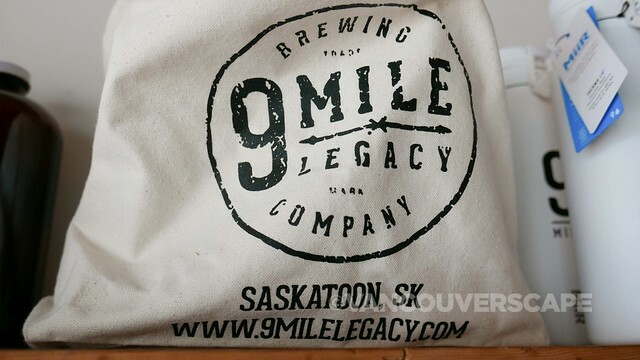 Nanobrewers 9 Mile Legacy have a small taproom and brewing area at 229 20th Street, offering a changing assortment of enjoyable brews. If they’re sampling 9 Mile Ale and Hybrid Vigour (a Märzen style amber ale), I highly recommend trying them! 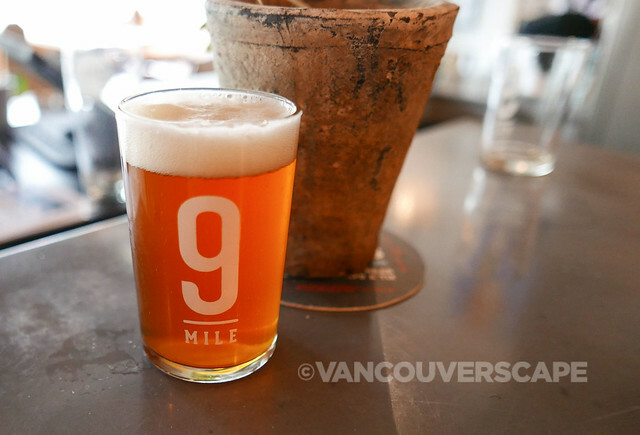 The guys at 9 Mile will even create a customized beer and bottles for special occasions. 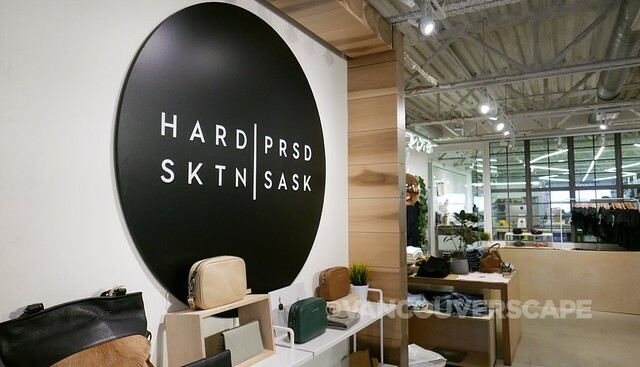 Hardpressed (224 20th) is Saskatoon’s local brand of cool hand-printed t-shirts, accessories and gear. They carry several clothing and accessory brands and it’s worth a visit to check out some of their latest shirt designs (printed onsite). Even the locals wear them! 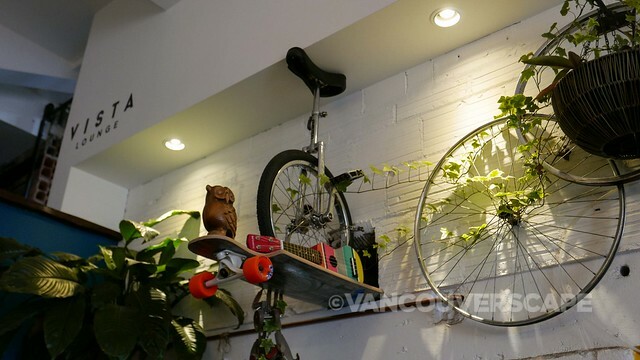 While you’re exploring the area, stop in for a coffee, pastry, lunch, dinner or brunch at Drift Sidewalk Café & Vista Lounge (339 Avenue A S), a cute, laid-back, multi-level space with quirky interior touches and a loyal following. They keep expanding too, from the main level cafe to a rooftop patio for fun cocktails. 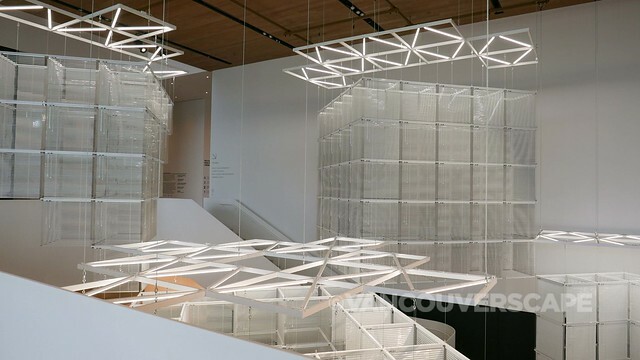 Open since October of last year, Remai Modern has received design accolades from Canadian Architect magazine back in 2012 before ground broke on its construction. The Remai is best known for housing the world’s largest Picasso linocut collection. There’s three floors encompassing 11 galleries, in addition to a theatre, learning studios, public gallery (free of charge), play area and gift shop. Up on the third floor is a lounge overlooking the South Saskatchewan River, an ideal spot for a break in between viewing the art. On through August 12 is a Jimmie Durham retrospective, Jimmie Durham: At the Center of the World, organized by Los Angeles’ Hammer Museum. Durham’s show at the Remai is the only Canadian stop on the tour, so if you’re planning a trip here, don’t miss stepping inside the humourous world of Durham, considered one of the most compelling and inventive artists working today. For lunch, get a tasty fix of comfort food at Shift, one of the newest players on the Saskatoon dining scene. 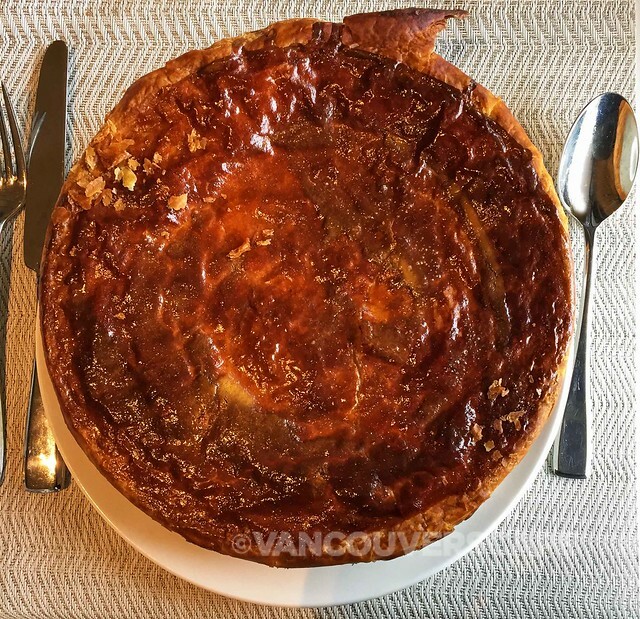 Part of the Oliver and Bonancini Restaurant Group, Shift aims to work with local producers and farmers and their menu ranges from a fabulously decadent chicken pot pie to perogies. 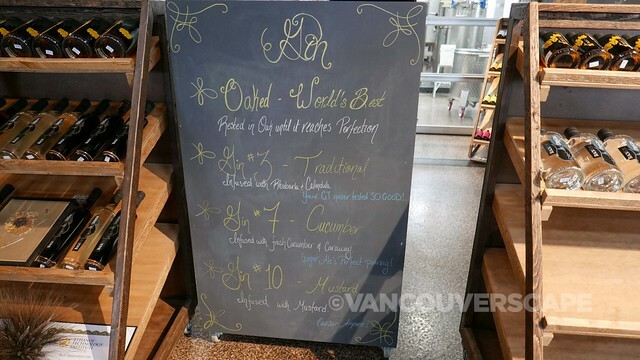 Don’t miss their addictive chickpea fries! 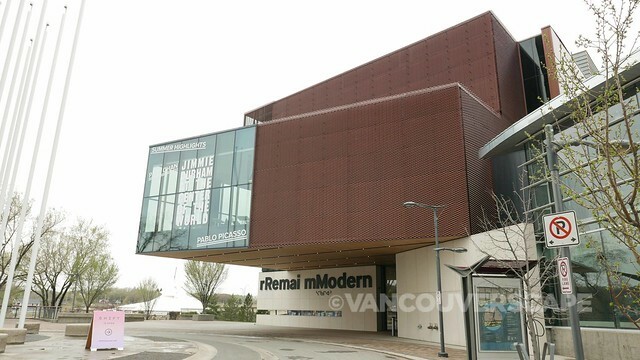 Remai Modern and Shift are located at 102 Spadina Crescent East. 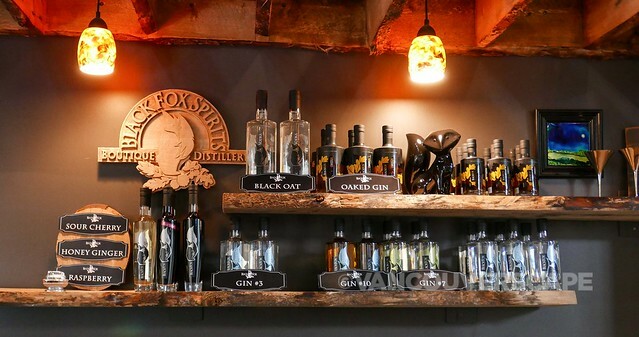 A short drive out of town brings us to Black Fox Farm and Distillery (245 Valley Road), where owners/former grain farmers Barb and John are passionate about their award-winning gins. 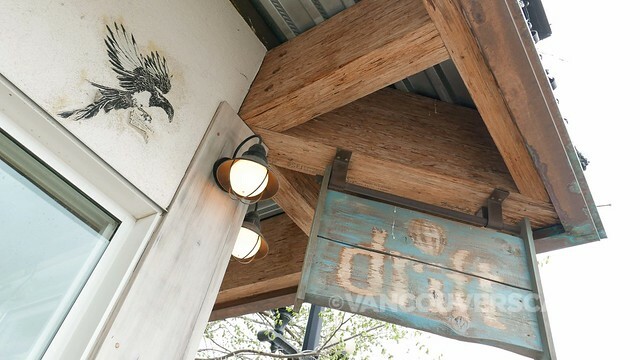 The name came about when a black fox took up residence on their former farm. Five different gins, including an aged vapour-infused gin that took London, UK’s World Gin Awards top honour, is for sale and ready for sampling in their rustic tasting room and shop (their clear gin came in a silver award-winner). They’re hopeful to get their small-batch speciality gins, vodkas, whiskeys and liqueurs out to BC shops in the near future. Though I did sample that award-winning gin, I discovered a new favourite in Black Fox’s sour cherry liqueur. 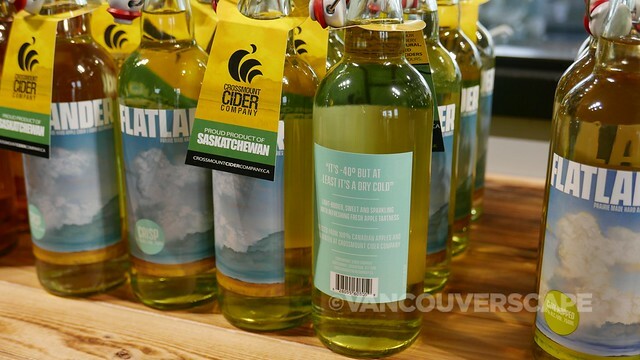 Top photo taken at Crossmount Cider Company, 30 Glen Road, Crossmount, SK, another spot worth checking out.